Youth in grades 6-12 and their parents are invited to help launch a new year on August 19th! The evening will start with food and games at Glenlake Park in Decatur. Parents are then invited to an information session with Rev. Allysen Schaaf at the home of Joe and Reynolds Delisle. Please bring a side to share (hot dogs and veggie dogs provided). 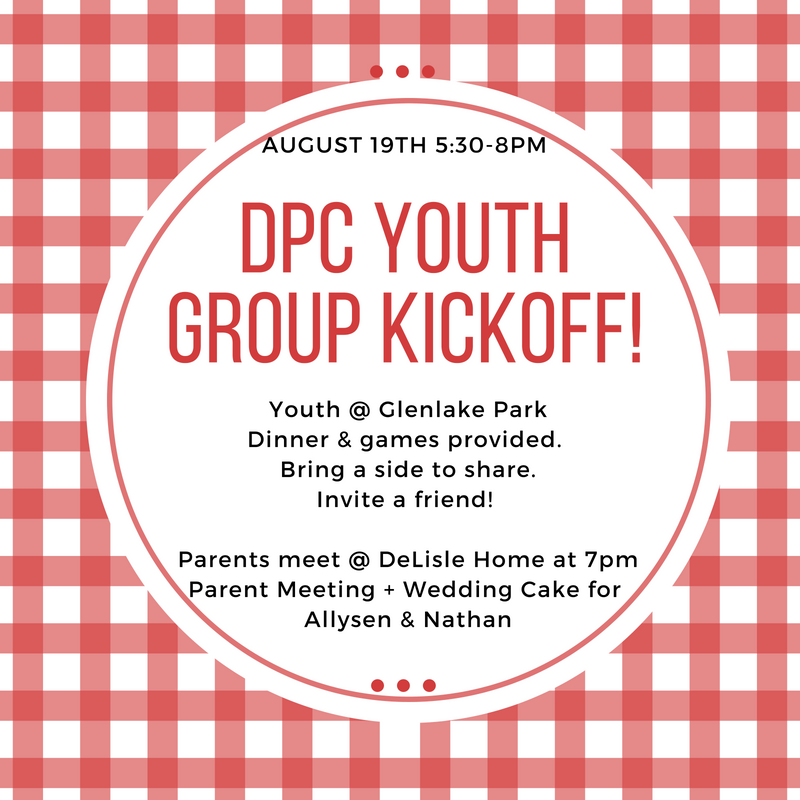 Parents, please come hear new and important news about DPC’s youth and parent ministry this year, meet our new youth ministry assistant and celebrate the start to the year! All youth will walk from Glenlake Park together to enjoy the cake and celebration. Youth can be picked up at 8:00pm at the DeLisle home.